PA Governor Tom Corbett signed a transportation funding package (Act 89) back in November and you’re soon going to see what that means for you. The $36 annual registration and the $29.50 license fee for passenger cars will be increased by a percentage equal to any rise in the Consumer Price Index for all urban consumers over a two-year span. For example, if recent inflation rates remain stable, the registration would increase $2.00, and the license fee would go up $1.50 on that date. Drivers will have the option to register their cars for two-year periods instead of annually, by paying twice the annual fee, starting in 2017. Counties will have the option to levy a $5 annual registration fee on vehicles registered to addresses within the county, starting in 2015. 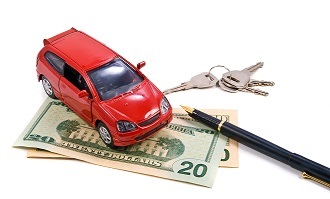 The fee for a replacement driver’s license will rise from $5 to $19 effective April 1, 2014. The fee for issuance of a certificate of title will increase from $22.50 to $50 effective April 1, 2014. Vanity plates will increase from $20 to $76 effective April 1, 2014. The fine for failure to obey traffic control devices will rise from $25 to $150. Surcharges that are applied to seven other moving violations, including speeding, will increase by 50%. New fine pricing went into effect January 1, 2014.